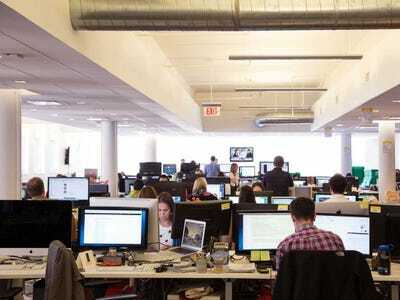 Business Insider Is Hiring An Awesome Scrum Master! Do you love annihilating impediments to get things done? Do inefficient processes drive you nuts? Then we want to hear from you! Business Insider is looking for a Scrum Master/Program Manager to join the team in building the fastest-growing business news site on the web. We face exciting challenges every day due to the demands of our growing audience and the 24/7 news cycle. Your work will reach millions of people — 40+ million every month around the globe. Business Insider is a dynamic company reaching the new generation of business leaders. We are a well-funded (including by Jeff Bezos) startup at the forefront of digital media. As Program Manager/Scrum Master, you will oversee the Agile development process at Business Insider. You will work on site, mobile applications, and our research product, Business Insider Intelligence. This role will be part of the product team and you will work closely with product managers, the engineering team, editors, and all business groups in the company. Provide training to new team members regarding agile process. Oversee Agile tools such as Jira and Confluence. Expertise in Agile development processes. Scrum Master Certification a plus. Experience working on desktop, mobile, and eCommerce platforms. News junkie status is a plus. If this sounds like the perfect gig for you, please apply online and share a few sentences about why you’re a good fit. Thanks in advance.